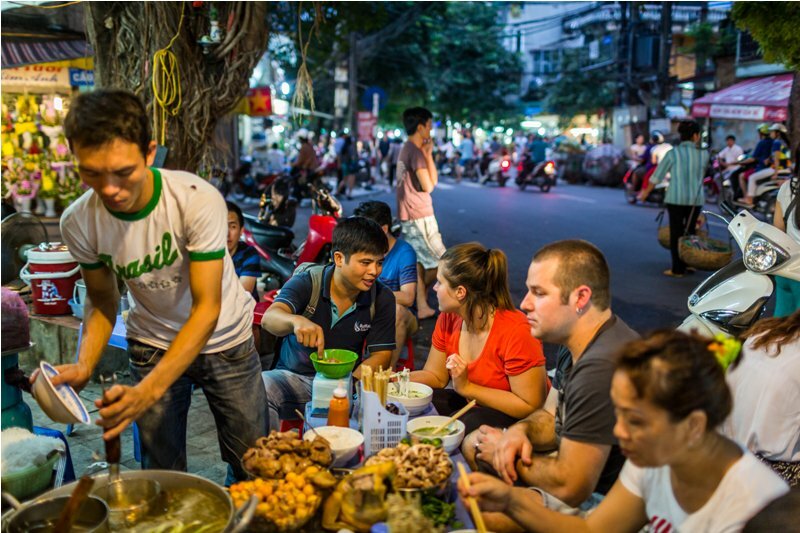 Street food is an important aspect of anyone’s travels to Asia. Not only is it widespread, locally sourced, produced and consumed, it reflects longstanding culture and culinary tradition. There are a variety of informal instructions that can be followed, or safety rules for keeping a happy tummy, however, we’ve condensed it down to 5 easy tips for your culinary adventure. 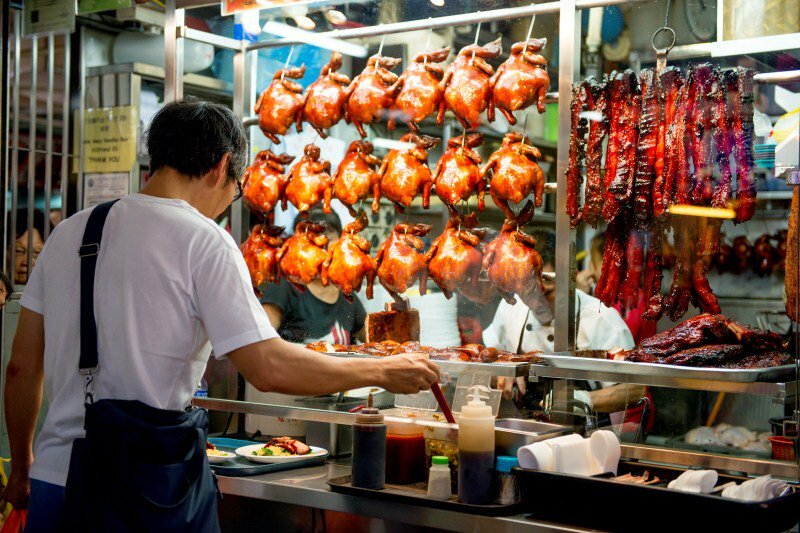 So here are 5 tips for safely eating and enjoying street food in Asia! When walking around a city or town for some street food, don’t be nervous about making a judgement and tapping into your common sense, especially in terms of what you eat where. All over Asia, regions with specialities will advertise them locally, so keep an eye out for signs and where’s busy in town. Pay attention to the times of day stalls are busy, because if you eat with the rush you’ll be sure to get a fresh serving. Use your nose too; sniffing is a great way to tell when somethings gone bad or been out too long. Keep your nostrils open and your eyes peeled and you’re bound to find something that’s locally sourced, delicious and safe to eat. Food poisoning is always a risk with street food, and personally, my stomach will revolt at the slightest possible attack. However, it is far more common to get food poisoning from water than the food itself. For example, as tempting as the fresh lettuce with pork balls under the overpass in Bangkok may be, there may be harmful bacteria in those greens. Lettuce rinsed in tap water has a higher chance of being a disaster for your belly. Despite street food often being very rich, it’s probably a safer alternative to fresh vegetables and pre-cut fruit. Also, a poorly washed cup is guiltier of making you sick than those freshly grilled BBQ pork skewers, so be aware. Expanding on street side hygiene, ice is key. Travelling through balmy and humid Southeast Asia where temperatures rocket and the sun takes no prisoners is a challenge. Add avoiding ice to be on the safe side, and you’ll be fuming. You can still have ice in steamy Asia, and many cafes, even ones set up on the curb with plastic stools, have treated and clean ice. Keep in mind, if you see someone smashing your ice with a mallet, there’s a good chance it isn’t clean. Generally though, the rule of thumb with ice, is to check for holes, usually purified ice is cylindrical with holes down the centre. See what’s on the table and how people use it. In Thailand, you’ll have peanuts, sugar, fish sauce and limes laid out on the side. In Northern Vietnam, pickled garlic, limes and hot sauce are standing by to garnish almost anything. Don’t be afraid to add something extra as it’s completely normal and encouraged to customize your plate. Just make sure you taste the dish as is first. Furthermore, you may notice no bin under your table, and locals throwing their trash on the curb. As unappealing as this seems, street side business need to keep their service fast and efficient and it’s often easier for them to sweep up the mess under the table and give it a wipe before the next hungry customer pulls up a stool. So don’t be afraid to throw your napkin to the curb! Finally, if you’re eating rice or noodles, don’t ever leave your chopsticks sticking up in it. Throughout most regions of Asia, a bowl of rice with chopsticks stuck in it, is an offering to dead ancestors. Wherever you’re headed in Asia, street food offers an adventure in every bite. It’s fast, fresh, cheap and most importantly local. However, keep in mind regulations throughout the region change. For example, Vietnam and Thailand have recently seen a surge in governmental efforts to clear out street food, however for the time being it remains a cultural staple. 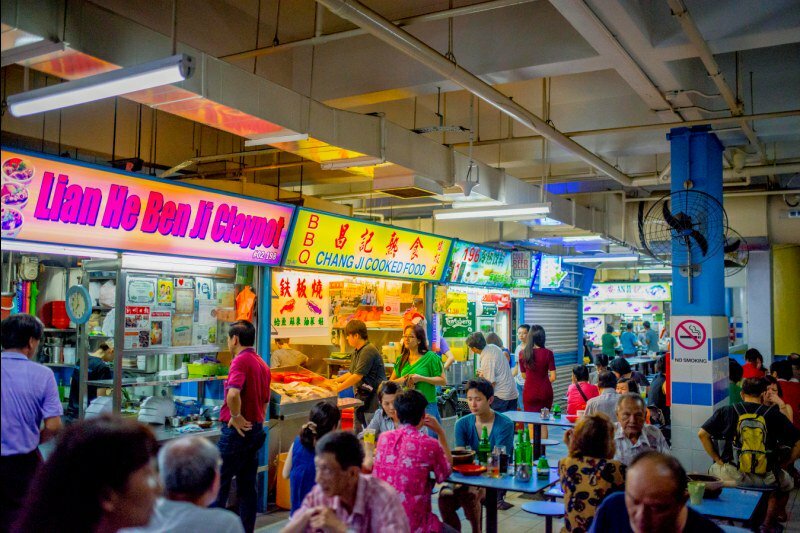 Singapore is no longer a heaven of the pavement, yet offers colourful hawker centres bursting with various cheap and flavourful grub. China has seen a push indoors, yet many tucked away markets in Xi’an, Beijing, Shanghai and Chengdu offer delightful grub on the go. There’s even a small street snack scene in Kyoto, Osaka and Tokyo, as well as offerings at morning markets throughout the country. Markets are always a good bet for food in Myanmar, Cambodia and Laos, as they are bursting with street food options. So foodies rest assured, wherever you go in Asia, there’s a street food stall that awaits you. 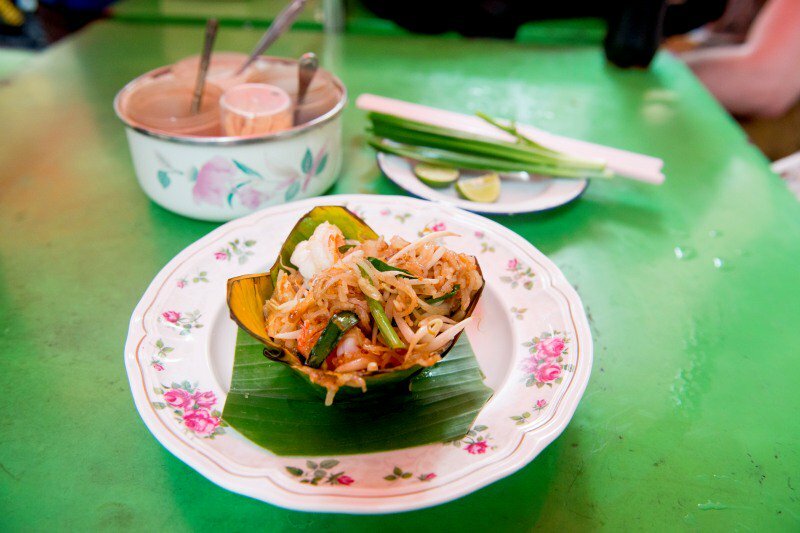 We hope this guide helps you make the most of Asia’s scrumptious street food. If you’re curious to explore more of the region and enjoy tasty travels, consider a half day street food tour or a multi-day gourmet adventure. Let Buffalo Tours help you discover the flavours of Asia!